Internet domain names are about to get crazy. 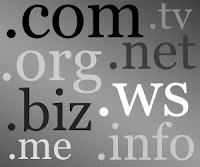 Starting January 12th, 2012, the Internet Corporation for Assigned Names and Numbers (ICANN) will begin accepting applications for domains with new suffixes. The new suffixes will be limited only by your imagination. You can bank on lenders creating their own domains like .chase, .wellsfargo, .citibank, etc., but before you get any ideas about registering .notary, .closer, .signingagent, or any other such name, consider the cost. The application fee for a new domain is $185,000. Currently, there are only 22 generic top level domain names (such as .com, .net, .org) and approximately 250 country level names (.us, .uk, etc. ).